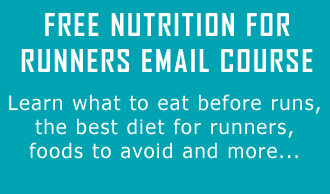 Runners Connect » » Nutrition Articles Do You Absorb More Iron Cooking in a Cast Iron Pan? 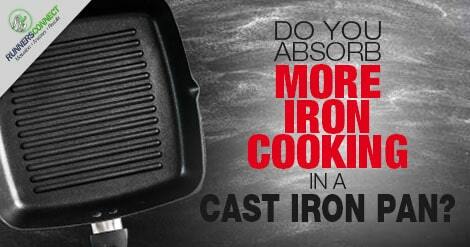 Do You Absorb More Iron Cooking in a Cast Iron Pan? Do you get enough iron in your diet? Many runners don’t, especially women. One method you might have heard about to increase the amount of iron in your diet is cooking your food using cast iron cookware. Absorbing iron from your pots and pans sounds completely crazy—is there any truth to this, or is it just a running old-wives’ tale? Conceptually, the proposed process for iron from your cookware ending up being absorbed by your body as a nutrient is as follows: individual atoms of iron either flake off or are chemically absorbed by the food you’re cooking, which makes its way to your stomach where the iron gets absorbed and eventually put to use making hemoglobin, ferritin, and other iron-containing proteins. Fortunately, testing out whether this actually happens pretty easy. All we’d need to do is cook some food in cast iron cookware, check its iron content, and compare this to the same meal cooked in non-iron cookware. Cheng and Brittin’s study set out to get a more accurate picture of exactly how much iron is absorbed by two commonly-eaten and fairly acidic foods: applesauce and spaghetti sauce. Using standard ingredients from a supermarket, Cheng and Brittin cooked up one hundred batches of applesauce and one hundred batches of spaghetti sauce. Fifty batches of each were cooked in cast-iron pots, and fifty were cooked in CorningWare glass dishes, which of course do not contain iron. A small sample of each batch was analyzed for its moisture content and iron content—it was important to control for moisture content because one cooking method might drive off more water, making it appear as though there was more iron in the food, when really it was merely a concentrating effect. Cheng and Brittin’s data confirmed that both applesauce and spaghetti sauce pick up a measurable amount of iron after being cooked in cast iron cookware. When the foods were cooked in the glass dishes, their iron content was negligible: less than one milligram of iron per 100 grams of food (about 3.5 ounces). But when the foods were cooked in cast-iron pots, the spaghetti sauce picked up about 2 mg of iron per 100g of sauce, and the applesauce picked up 6 mg per 100g. For reference, a typical serving of each of these—about one cup—would be around 250 g, and the recommended daily intake of iron is 8 mg for men and 18 mg for women. A typical iron supplement contains 45 mg of iron. The moisture content of the dishes did not differ between the cookware, meaning the increase in iron content represents a true transfer of iron from the cast iron pot into the food. The ability of cast iron cookware to impart just a little bit of iron to foods cooked in it is very convenient if you’re looking to boost your iron intake. The amount of iron transferred to the food happens to be just enough to be a significant source of dietary iron, but not enough to pose any risk of iron overload in healthy people. If you are trying to increase your intake of iron, try doing some of your cooking in cast iron pots and pans. You’ll get best results by cooking moist, acidic foods like applesauce, chili, tomato sauce, stew, and scrambled eggs. As a rough rule of thumb, one cup of these foods will gain about six to eight milligrams of iron after being cooked in cast iron cookware. Dry, non-acidic foods like pancakes, rice, and green beans don’t pick up much iron from a cast iron pot. 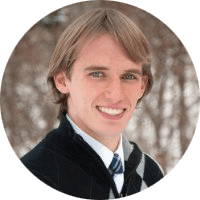 Of course, your diet should also contain plenty of foods that naturally contain iron, like red meat, beans, lentils, and spinach. How do you make sure you consume enough iron to sustain your training? Risser, W. L.; Lee, E. J.; Poindexter, H. B.; West, M. S.; Pivarnik, J. M.; Risser, J. M.; Hickson, J. F., Iron deficiency in female athletes: its prevalence and impact on performance. Medicine & Science in Sports & Exercise 1988, 20 (2), 116-121. Cheng, Y. J.; Brittin, H. C., Iron in food- Effect of continued use of iron cookware. Journal of Food Science 1991, 56 (2), 584-585. Nossaman, C. E. Iron content of food cooked in iron utensils. Texas Tech University, 1984.
out on new opportunities and first time customers. look like an English assignment.